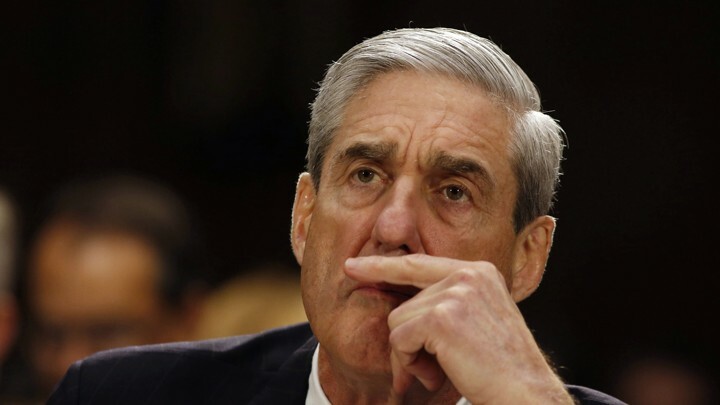 Let me try to make sense of the five recent, head-spinning revelations about the Mueller probe. Mueller thinks Paul Manafort has lied since his guilty plea. Manafort is part of a defense cooperation network. Jerome Corsi has rejected a plea agreement and claims that he didn't have a direct pipeline to Wikileaks, but rather was the beneficiary of divine intervention while on a flight to Italy that let him discern what was coming with regard to John Podesta's emails. Michael Cohen, the President's former lawyer, has pleaded guilty to lying to a congressional committee. Against this backdrop, the President has escalated his criticism of Mueller's "witch hunt". Cohen's guilty plea was greeted as "the beginning of the end" by Trump critics and as much ado about nothing by his supporters. Viewed alone, the Cohen plea is not a game-changer. He pleaded guilty to lying to Congress about Trump business dealings in Russia during the 2016 campaign, specifically trying to build a Trump Tower in Moscow. These efforts apparently ran into June 2016. The President harrumphs and notes that was his job at the time. A builder. The trouble for Trump is that he can't know what else Mueller has. Keep in mind, Mueller is probing whether the Trump campaign conspired with the Russian government during the campaign. No doubt a focal point is the June 9, 2016 meeting at Trump Tower attended by Paul Manafort, Don Jr., and Jared Kushner. Cohen's revelation about the Moscow project, including the prospect of giving Putin a penthouse, puts those efforts close in time to the Trump Tower meeting. The key question in my mind is, why did Cohen lie to Congress? Was it, as he said, to channel the now-President's campaign message? Or could it be that he knew the timing was problematic? Perhaps this all explains why President Trump was the rare Republican candidate willing to give Putin relief from sanctions regarding the annexation of Crimea and why the GOP platform that summer stripped support for Ukraine. Both were unusual for a Republican. Something else: The President has previously touted his confidence in the election outcome in the face of polls to the contrary. But this week, before leaving for G20, he acknowledged his underdog status and the reality of needing to return to business in the event of an election loss. Trump viewed his long-shot campaign primarily as a branding and business effort, and a means of ingratiating himself with Putin - so that when the campaign ended, he'd be in a position to achieve his goal of building in Moscow. It is just what it suggests - a concerted effort to aid and abet the illegal hack of the DNC server. The only thing certain is that right now, we just don't know. And the one person who does - Mueller - is still on the case.